Airport is the name for Apple's wireless hardware. Airport is 802.11b which was replaced by Airport Extreme which is 802.11g. 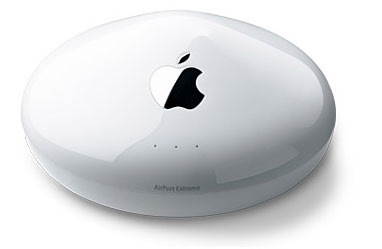 Apple have just released a new 802.11n Airport Extreme Base Station, this printer list refers to the older original Airport Extreme Base Station and the Airport Express. If you are looking for printers which are compatible with the new base station please check this page. This is an unofficial list of USB printers which are are compatible with the AirPort Extreme Base Station and Airport Express. Printers in bold have been added to the original list that Apple provided. Printers in dark red are in fact the only printers I have personally tested. Please add compatible printers to the comments list. Please also note that due to changes in the firmware of both the Airport Extreme base station and the introduction of the Airport Express some printers which are in this list may no longer in fact be compatible. Before connecting your USB printer to the AirPort Extreme Base Station or Airport Express, first connect the printer to a Macintosh computer and print a test page. Once your printer is connected to the base station, check to see that the printer is listed in the printer list in the Print Center (Applications/Utilities/Print Center). Error and status messages may not be available. For example, you may not see messages such as “Out of Paper” or “Printer Busy” when the printer is connected to the AirPort Extreme Base Station or Airport Express. To use printer utilities, often you must connect the printer directly to the Macintosh computer. These printers are deemed to not work out of the box (or if at all) with an Airport Extreme or Express in the same way as the printers listed above. Where the printer is linked then there is page with further information which may be of use. If an HP printer is not on the unofficial compatibility list or with a workaround this generally means that it is not supported for use with the Airport Express/Airport Extreme Base Station with HP's own printer driver and may not work at all. The following solution may work.